Signed, mounted and framed Print of Damon Hill OBE during 1996 Formula One World Championship. The print depicts Damon Hill during the 1996 Formula One World Championship at the wheel of the stunning Jordan 198 Mugen Honda V10. 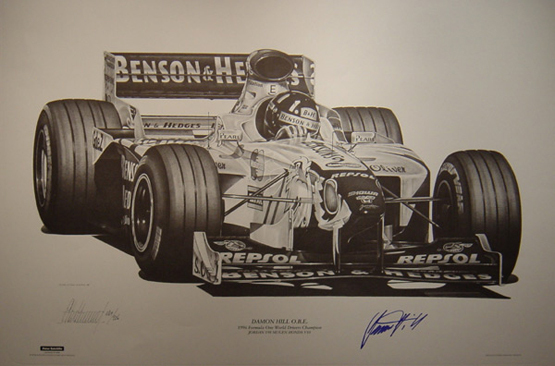 It is personally signed by Damon Hill OBE and comes complete with a certificate of authenticity and a photograph of Damon Hill signing the prints.